This article is going to inform prospective students and their families about what it really takes to play in the Ivy League, or other elite academic schools. You'll get an introduction to the academic index, timeline, insights into the quality of golf, as well as some insights into the process. Hope you enjoy! SAT: Your score divided by 10 divided by 2. So, if you got 1500 on the SAT, your index number would be 75. SAT 2: The sum of your two scores, divided by 40. If you got 1450 in a Math SAT 2 and 1500 in a Chinese SAT 2, your score would be 73.75 ((1450+1500)/40). GPA: GPA times 20. If you are a 3.7, then your index would be 74. In this example, the student would have an academic index of 222.75. Most Ivy League schools are going to require an academic index of about 222 to simply open a conversation, but there is no perfect receipt on what it takes. Instead, it is going to be considered with many other factors, including things like the quality of your high school, the location of your high school, gender, race, quality of application essay, quality of interview, how much you can financially contribute and if you are a legacy. Another important part of the process is the strength of your graduation year. Each year is going to be a little different and even though it might only be a small factor, the desired schools of other elite players and how they perform on the index influences your options. To even have a chance at a high academic index, prospective student athletes must score at least 1400+ on the SAT with at least 700 in each section and with the same on at least two SAT subject tests. 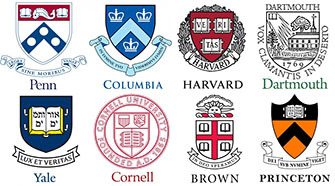 Although approximately only 5 percent of students will earn a score that will make them eligible for admissions, Ivy League coaches get hundreds of emails per year from individuals who wish to attend their institutions. The absolute best way to separate yourself is to earn an academic index of 220+ by June 1 of your junior year, leaving the coaches no question as to whether you are an actual candidate. How to earn these scores will depend on the individual; I have had students take the SAT once and earn an acceptable score to push their index above 220, while I have had others need to take the test several times (up to six!). How many is not as important as getting the score and being a viable candidate by June 1 of your junior year. Now that you are a viable academic candidate, coaches are going to be considering your golf, which includes your ranking, scoring average, head-to-head record and rounds under par. Since the market changes year to year, it is very difficult to specify a number, however boys should try to have a scoring differential of 1 or better on Junior Golf Scoreboard and be ranked in the top 400 in their class, while girls should have a scoring differential of 1.5 or better and likewise be top 400 in their class. Prospective student athletes should also anticipate that Ivy League coaches are likely going to want to watch them play between July 1 and September 1 at events in the Northeast, including AJGAs. Prospective student athletes should make sure they do not use their five starts prior to these events. The Coaches are Friends: Getting above 1400 on the SAT puts you into the 95th percentile. Of those top 5 percent, likely .05 percent are going to play competitive golf. The pool for coaches gets small quick and they not only know the likely candidates, they also speak among themselves about the players. Therefore, be careful to make comments to coaches like "you are my first choice." They may call and ask if you made a similar comment to another coach. Northeast Paradox: There are many stories from around the country, but particularly in the Northeast, about average students who get into elite schools thanks to their ability to play sports. I am here to tell you that if you want to use a sport to help in your application, then golf is the worst sport you can play (whereas basketball, football, hockey or lacrosse are the best). Caroline Sacks: I was introduced to Caroline’s story in the book, David and Goliath: Underdogs, Misfits, and the Art of Battling Giants by Malcolm Gladwell. A talented student, Ms. Sacks found herself struggling in her senior year to decide whether to attend Brown University or the University of Maryland. Based on brand and prestige, she chose Brown and quickly found that the competition level was much higher than she anticipated. She quickly found herself unable to compete and gave up her goal of being a scientist to pursue English. She is now an English teacher and often wonders if she would be a scientist had she attended Maryland. A more recent book by New York Times columnist Frank Bruni titled Where You Go Is Not Who You’ll Be is a more in-depth look at this topic and an excellent read. I would highly recommend that anyone considering the Ivy League patch purchase and carefully read the book. Ms. Sack’s story is important because in the Ivy League, few kids are special and the rest, well, get reminded every day of how average they are. When making the decision, keep in mind how this dynamic may impact you, and also how it may impact your future self (hint: regardless of the name on the degree, 3.4 does not get you into any great graduate schools). Interview: Let’s be honest, at no point in the future is an Ivy League school going to show up to the NCAA Championship and lay a beat down on Alabama or Oklahoma State. Therefore, being competitive in the league is important even though coaches also really care about player personality and team dynamics! In this way, an interview goes a long way. In the interview, maybe the most important thing (beyond the academic index) is your passion for golf. Ivy League coaches have terrible attrition as players have a myriad of spectacular options vying for their attention beyond golf. This leads to a problem: Coaches help the student get in with an academic index of say 225, when a normal student needs 232, and then junior year never hear from the player again as they are busy with internships and other academic/social commitments. This can leave coaches sour, so passion about golf goes a long way. I hope that this has provided you some valuable insight into the process of pursuing your goal of the Ivy League. As always, if you have any questions or comments, please do not hesitate to reach out to me. My email is brendan@golfplacementservices.com.